Ashleigh Grant, a 25-year-old paralegal, has taken the reigns as Miss Rodeo Australia 2018. Crowned Warwick Rodeo Queen in the lead up to the Warwick Rodeo National Finals and Prydes Easifeed Warwick Gold Cup Campdraft in October 2016, Ashleigh has stepped forward to promote the dynamic sport of rodeo, the cowboy culture and our great nation on both national and international stages. Though Ashleigh’s work is in the legal field she has grown up on the land on her family’s cattle and horse property at Freestone, just outside Warwick, Queensland, where she and her family breed Stock and Quarter Horses. Ashleigh has always had a passion for horses and the rural industry, which led her to attend the Longreach Pastoral College in 2011, where she completed a Certificate III in Equine Studies. Unlike many other rodeo queens, she has actively competed in the unique Australian sport of campdrafting across the Darling Downs in Queensland on her gelding Blackjack. Ashleigh has a strong passion for rodeo and can be regularly found as a spectator in the crowd supporting events and encouraging competitors from the sidelines. It was this passion and her family’s involvement in the Warwick Show and Rodeo Society that saw Ashleigh volunteer to join the Campdraft Committee. She now has years of volunteering at the Warwick Rodeo under her belt, helping enter scores and timing for the campdraft and assisting the Cattle Committee in the back yards. Since winning the title of Warwick Rodeo Queen, along with the Horsemanship and Overall Fundraiser titles, she has represented Australia’s Most Famous Rodeo throughout Queensland as well as internationally at the Canadian Finals Rodeo in Edmonton and Cheyenne Frontier Days Rodeo in Wyoming. During her journey to become Miss Rodeo Australia, Ashleigh fundraised for Blush Cancer Care Inc. Based in Toowoomba, Blush is a not-for-profit organisation, focussed on educating, supporting and raising money for men and women undergoing breast cancer treatment. With one in eight women being diagnosed with breast cancer in their lifetime, this is a cause close to Ashleigh’s heart. Her fundraising efforts also earned her the title of Miss Rodeo Australia Fundraiser. As an ambassador to the sport, Miss Rodeo Australia is willing to help you promote your special event, its sponsors, the western way of life and professional rodeo. 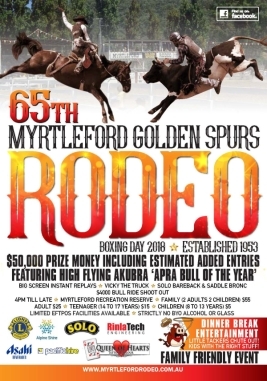 Not only can Miss Rodeo Australia ride in your rodeo grand entry, she can help promote your event with local appearances, radio and TV appearances and sponsor engagement. 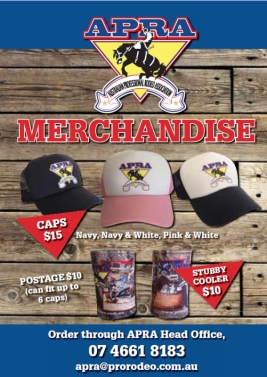 If you would like more information or would like to inquire about dates, please contact the Australian Professional Rodeo Association by telephoning (07) 4661 8183 or email apra@prorodeo.com.au. Showing passion and drive to professionally represent the western way of life is Miss Rodeo Australia 2018, Dakota Michaelis from Lewiston, South Australia. Twenty-year-old Dakota represented the Festival State’s Peterborough Rodeo in her quest to be named Miss Rodeo Australia 2018. Riding since she could walk and on the rodeo trail since the age of five, this moment seemed inevitable. She competes in the Open Barrel Race and Open Breakaway Roping and travels and competes with her parents most weekends. 2018 is an especially big year for Dakota, competing for her rookie title while promoting the sport she loves, both inside and outside the arena. When not on the circuit, you will find her working full time and keeping up with all the horses on the family property, as well as giving horse riding lessons to beginners of all ages. Having both her parents ride makes rodeo and horses an integral part of her daily routine and she wouldn’t have it any other way. In the lead-up to the quest, Dakota raised funds for The Epilepsy Centre. It is a cause very close to her heart since having the opportunity to teach a young girl with epilepsy to ride from age 4. “Late in 2015 she underwent major brain surgery in the hope of curing her condition and this would not have been possible without donations to The Epilepsy Centre,” Dakota said. In her role, Dakota will proudly wear a new crown featuring elements of Australia’s flora and fauna, the Southern Cross and Australian opals, made and donated by Montana Silversmiths through Just Country Australia Pty Ltd.
As Miss Rodeo Australia and the public relations face of the Australian Professional Rodeo Association, Dakota works with media, sponsors and rodeo committees. She travels extensively in Australia and internationally, appearing at rodeo performances, schools, children’s hospitals, civic events and other special events to educate the public about the sport of rodeo. Emma Deicke is 23 years of age and was born, raised and still lives in the beautiful Whitsunday Region in Queensland. She is very privileged to live on her parents 25,000 acre cattle and cane property ‘Collingvale Station’ that has been in her family since 1904 - she has the best of both worlds in the Whitsundays. Emma is what you could call a “Lady of the Land” and has been riding a horse since age 3, got thrown on her first steer when she was 6 years old and was pretty much born into a saddle. Mustering and working cattle on weekends and school holidays with her two big brothers, it’s easy to understand why Rodeo runs through her veins. When she isn’t galloping after cattle orbranding calves she also helps out with the harvesting of sugar cane. Naturally her love for Rodeo, Campdrafting and all things horses started at a very young age and had grown to fill her heart full of joy, love and with many memories over the years. Her experience with Rodeo has created a great desire to bring Professional Rodeo to the Whitsunday Coast, to inspire the likes of the young and old, woman and men around Australia and the World and to open the hearts of all to our Nation's historial sport that is, Professional Rodeo.